As the 2017 NFL season enters its final four weeks, a clear hierarchy is taking place at the top of the field, while other teams scramble to secure a postseason bid after struggling to start the season. Last week we saw the Philadelphia Eagles lose for the first time since Week 2, which bumped them from the top of our Power Rankings this week, leading to a familiar face taking the number one spot. Meanwhile, in the AFC West, the Chiefs, Raiders, and Chargers all sit tied at 6-6, caught in a staredown waiting to see which team can pull away from the divisional field. 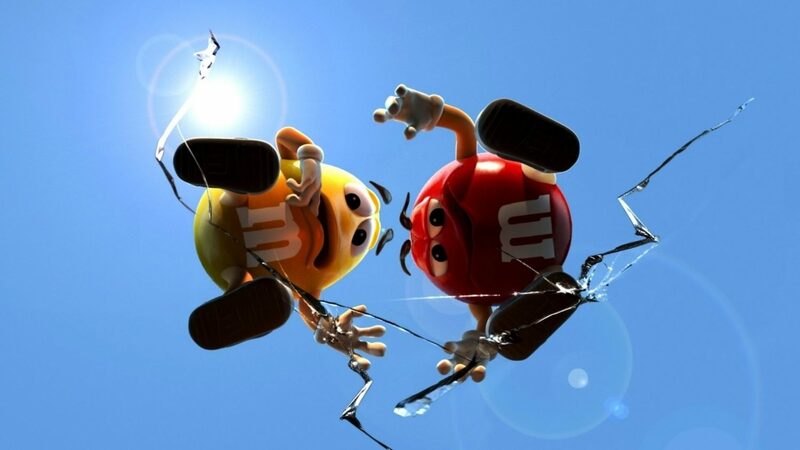 As the playoffs come closer and closer, the stakes only get higher. Have a look below and see where each team ranks going into Week 14. 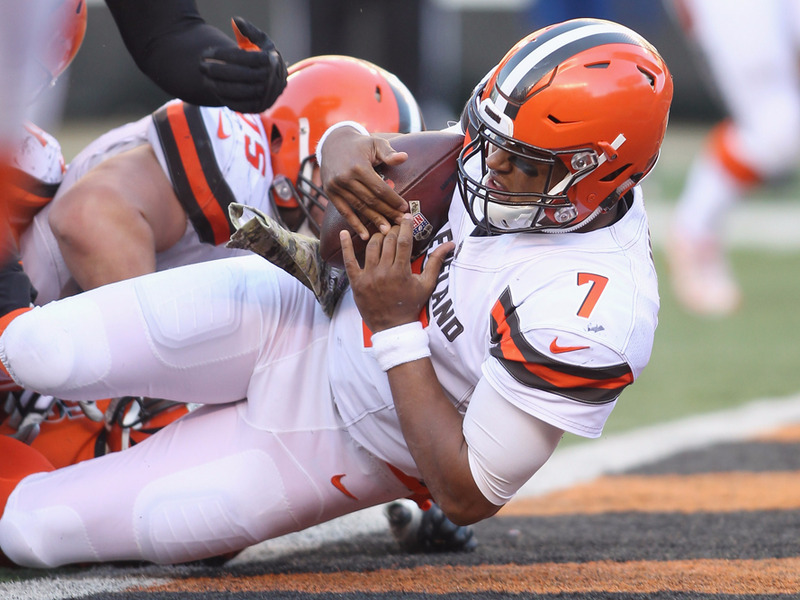 One thing to know: The 2017 Cleveland Browns are the first team to start 0-12 since the 2016 Cleveland Browns. One thing to know: The Giants made big changes this week, firing head coach Ben McAdoo and GM Jerry Reese. As the organization cleans house and turns to a new chapter, they’re turning back to Eli Manning as their starting QB. 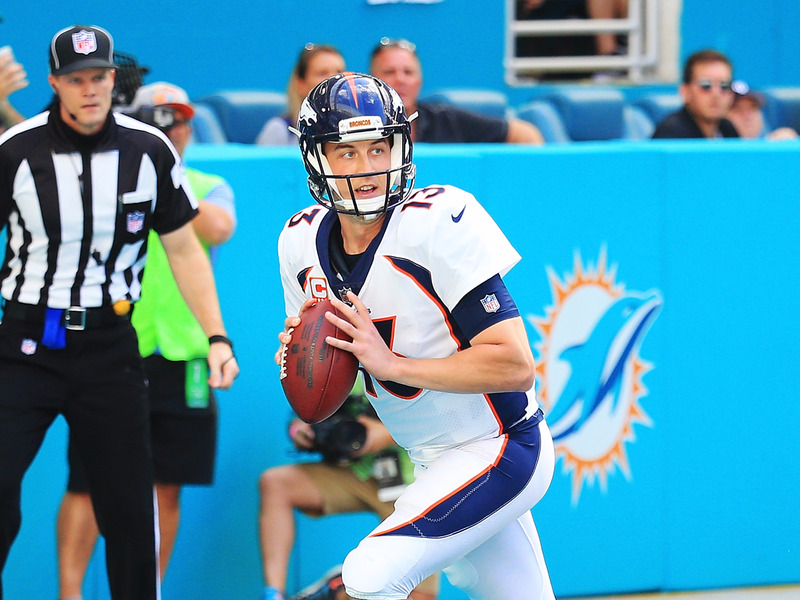 One thing to know: The Broncos have three quarterbacks on their roster with no clear starter, but it looks like Trevor Siemian will keep the job for now despite throwing three interceptions on Sunday. He’ll have to play better than that if he hopes to stop Denver’s eight game skid. 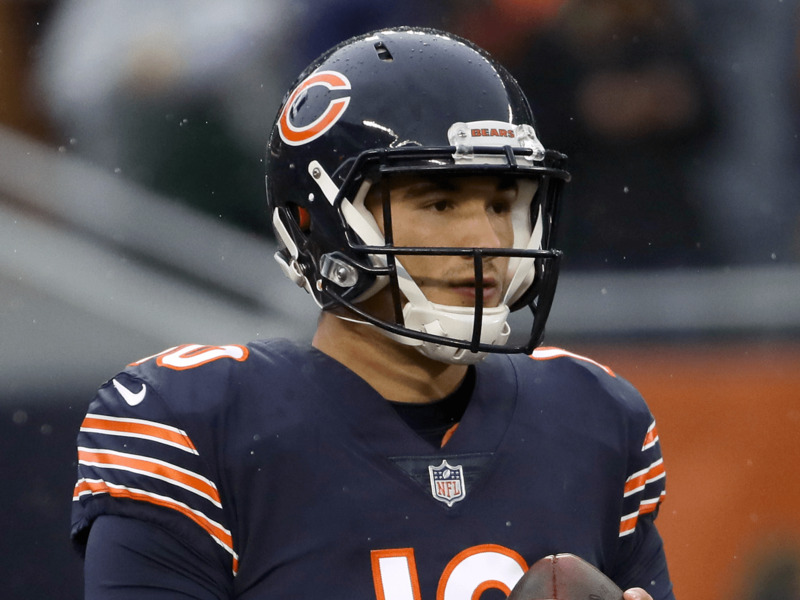 One thing to know: Amid the Bears’ lackluster season, Mitchell Trubisky has modestly improved month to month since taking over in October. His completion percentage and passer rating have gone up each month. 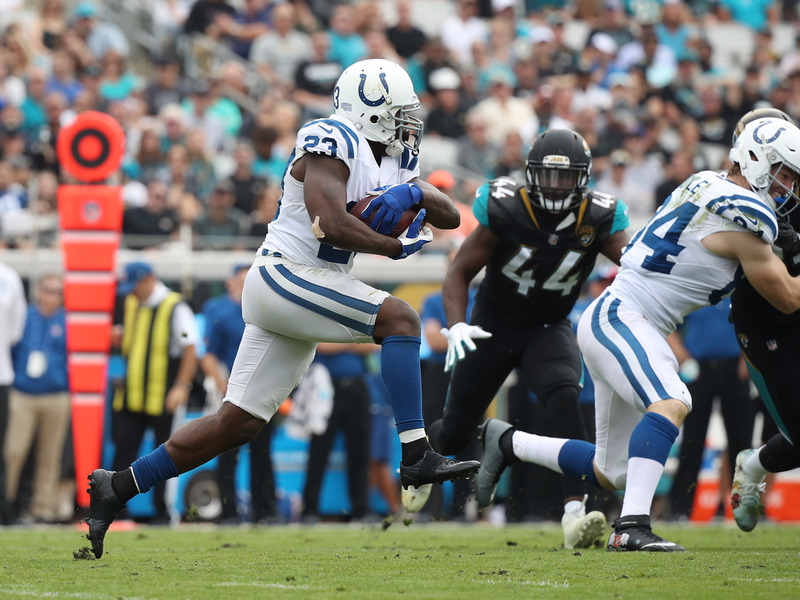 One thing to know: Last week Frank Gore moved up to fifth on the NFL’s all-time rushing leaders list, passing both Jerome Bettis and LaDainian Tomlinson during his 61 yard effort against the Jaguars. One thing to know: Jimmy Garoppolo’s play has brought some feel-good vibes to an otherwise miserable season in San Francisco. Though he didn’t throw any touchdowns, Garoppolo completed 70% of his passes for 293 yards and sealed the win, impressing teammates. 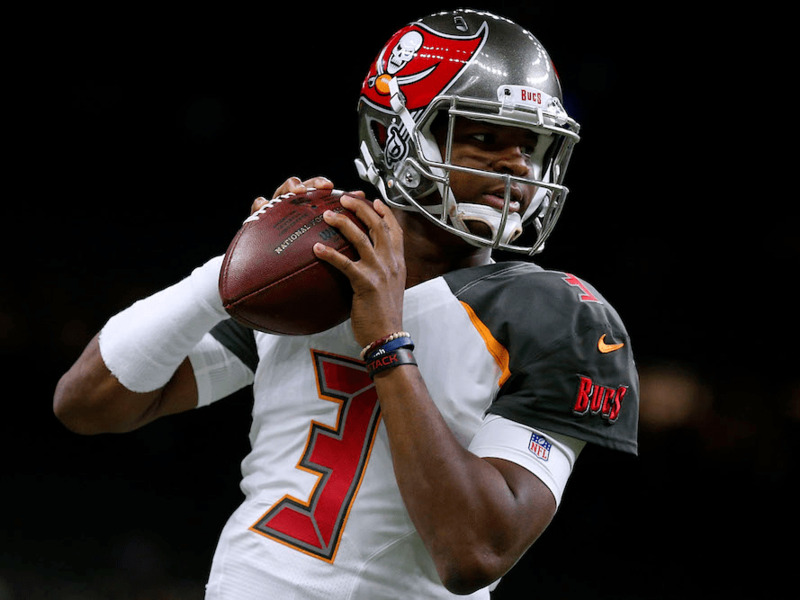 One thing to know: Jameis Winston looked good in his return to the starting role for the Buccaneers, throwing for 270 yards and two scores, but it wasn’t enough to lift Tampa Bay past the Packers. 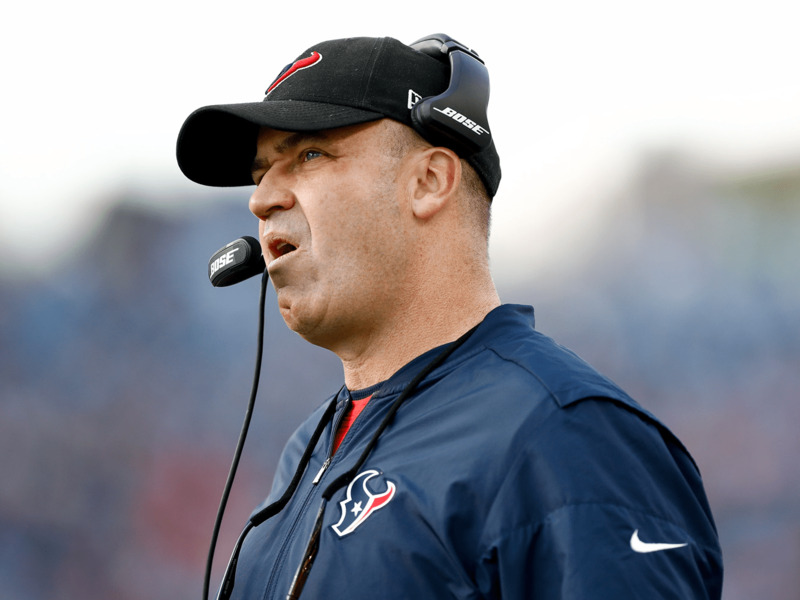 One thing to know: Excuse the Texans if they don’t feel sorry for other teams’ injury woes. The Texans had already lost J.J. Watt and Deshaun Watson to injury and missing wide receiver Will Fuller since Week 10 when they lost six more players against the Titans in Week 13. It’s been a rough year in Houston. 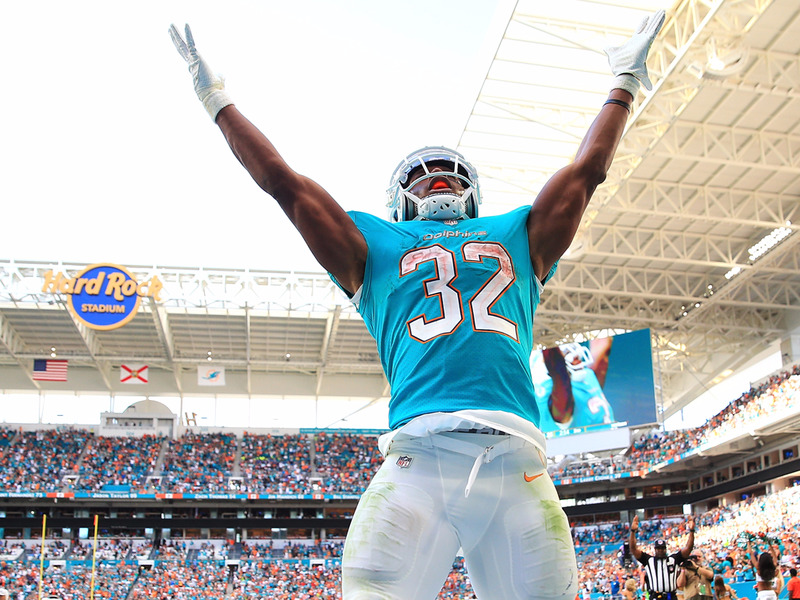 One thing to know: Jay Cutler’s return from injury was well-timed for a rematch against his former team, and while he still threw two interceptions in the effort, the Dolphins’ defense was able to score twice to help Miami to a runaway victory. One thing to know: The suspension of safety George Iloka for a helmet-to-helmet hit with Antonio Brown was rescinded after Iloka appealed it. The Bengals paid a physical toll for the ugly affair with the Steelers, as they lost Vontze Burfict, Adam Jones, and Joe Mixon to injury. 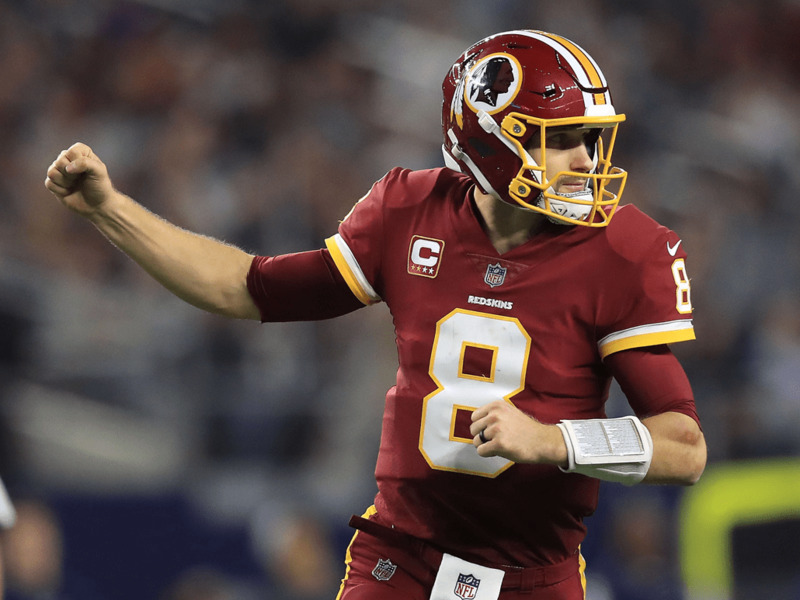 One thing to know: The Redskins rebelled against the NFL and decided against wearing their Color Rush jerseys against the Cowboys last Thursday, but will not be punished by the league as the NFL is opting to give teams more “flexibility” this year with the jerseys. One thing to know: Jets coach Todd Bowles said Josh McCown will remain the starting quarterback for the rest of the year. That makes sense, as McCown has played well and helped the Jets stay in the playoff mix, but it’s also a reflection that the Jets don’t feel great about McCown’s understudies, Bryce Petty and Christian Hackenberg. 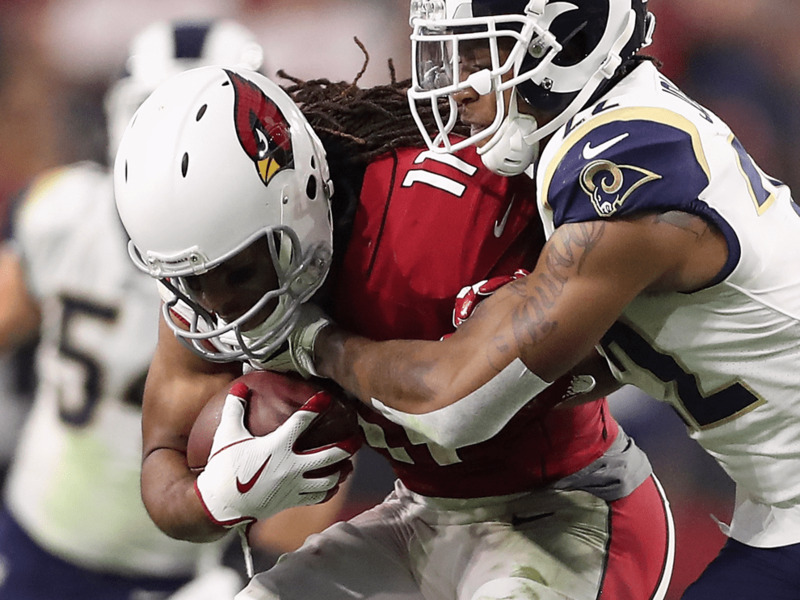 One thing to know: Despite his constantly rotating cast of quarterbacks, Larry Fitzgerald is still having another amazing season, catching more balls per game than ever in his career and ranking fifth in the league with 50 converted first downs. 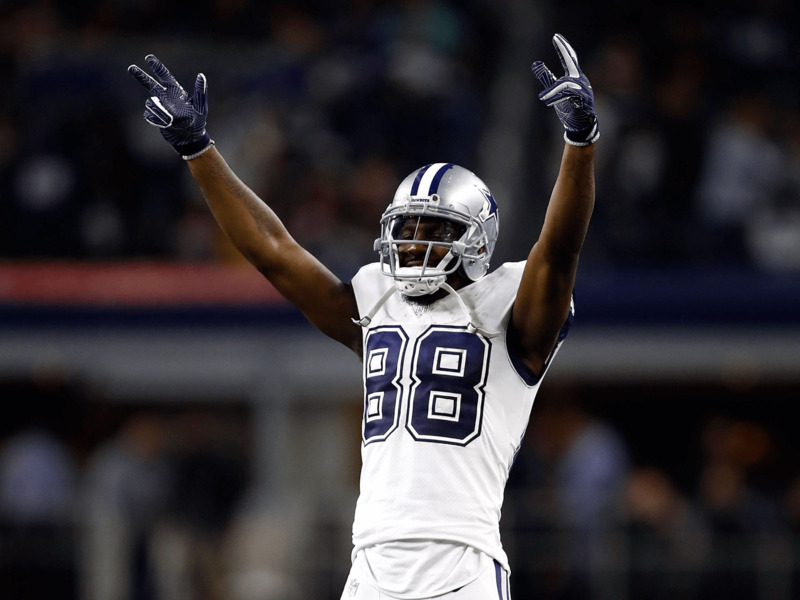 One thing to know: The Cowboys got a much-needed win over the Redskins in Week 13 to keep their season alive. However, they have no margin for error and still face the 6-6 Raiders, 8-4 Seahawks, and 10-2 Eagles the rest of the way. One thing to know: Tyrod Taylor did not practice on Wednesday after leaving Sunday’s game against the Patriots after his first play of the game, meaning Bills fans might be in for yet another week of Nathan Peterman under center. One thing to know: Matthew Stafford hurt his throwing hand and hasn’t thrown yet this week in practice — bad news for a team trying to stay in the playoff picture. 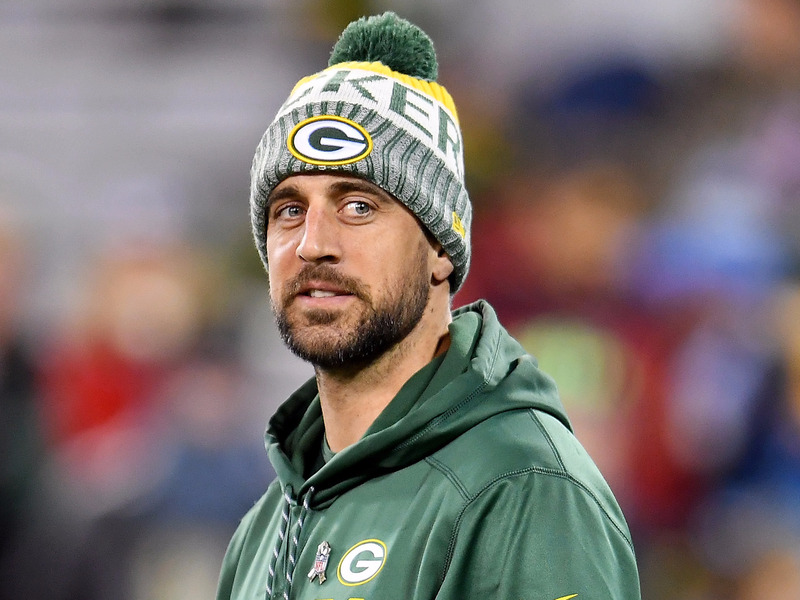 One thing to know: Head coach Mike McCarthy said that Aaron Rodgers could get medical clearance as soon as next week, and the Packers quarterback has already begun to take snaps with the scout team. Should Brett Hundley be able to keep the winless Browns at bay, Rodgers could come back to yet another late run to make the playoffs. 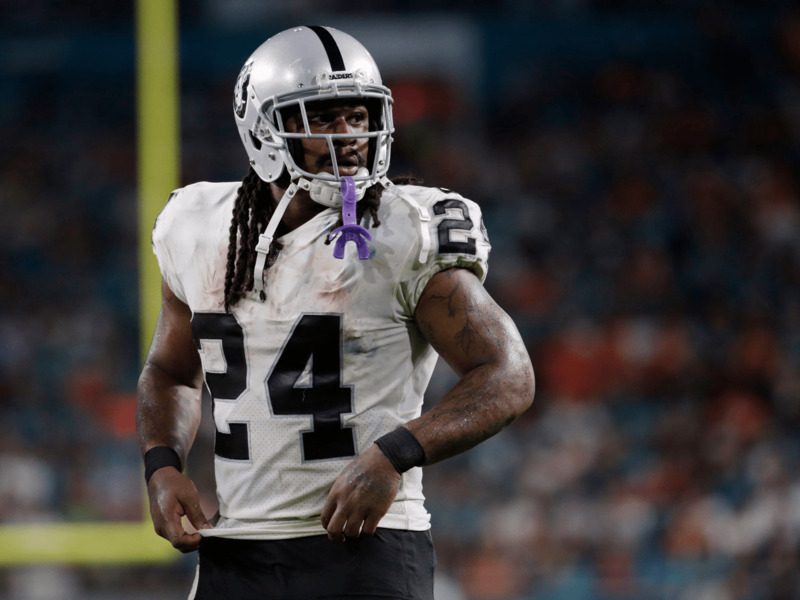 One thing to know: Marshawn Lynch has found new life alongside his team. In four games since returning from suspension, Lynch has run for 292 yards and four touchdowns while averaging 4.6 yards per carry. One thing to know: Andy Reid has chosen to suspend star cornerback Marcus Peters for one game after picking up an official’s flag and tossing it into the stands on Sunday. 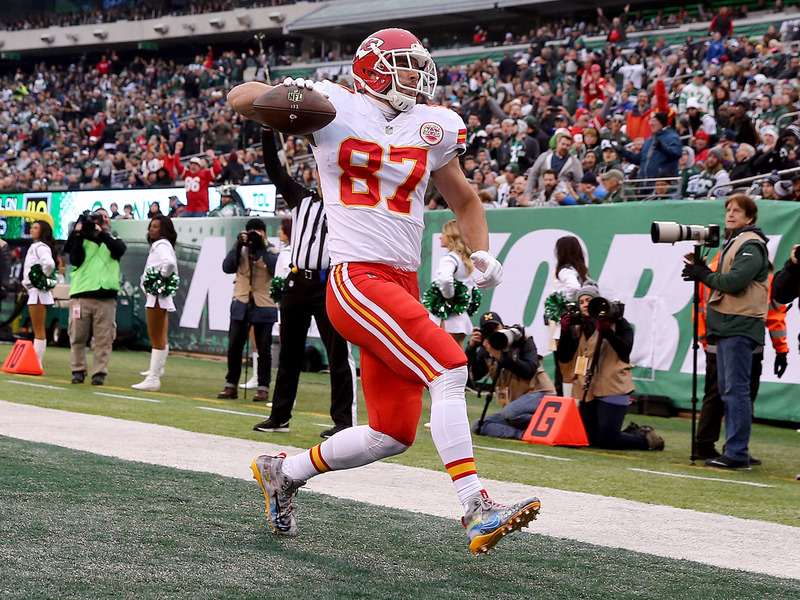 The decision comes at an unwelcome time, with the Chiefs once-dominant hold on the division on the line against the Raiders after losing four straight games. One thing to know: Can the Chargers actually do this? 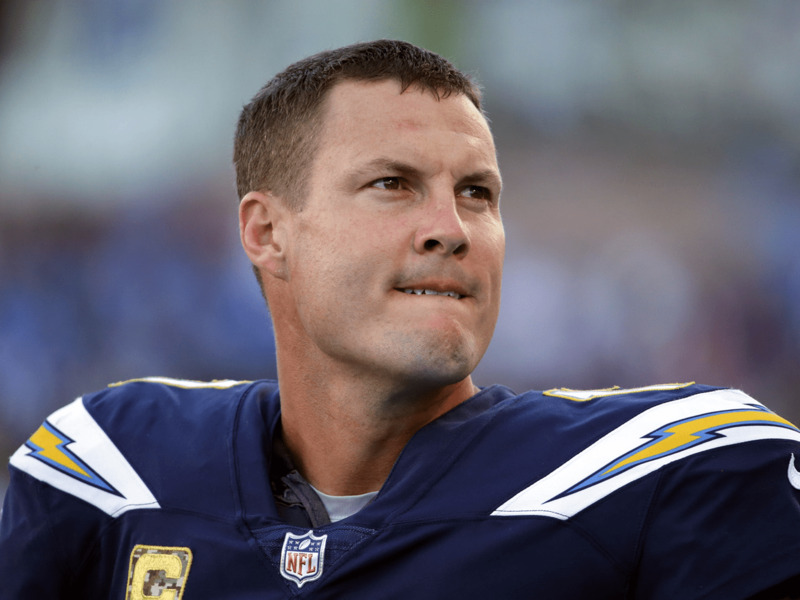 Since starting 0-4, the Chargers are 6-2 and they don’t face a team currently above .500 the rest of the way. The race for the AFC West remains compelling. 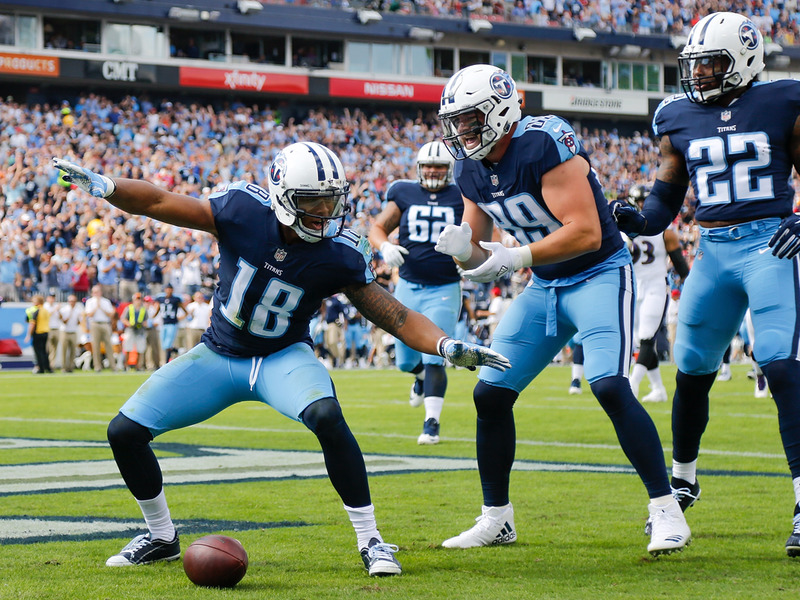 One thing to know: Titans receiver Rishard Matthews paid tribute to Colin Kaepernick last Sunday as part of the NFL’s “My Cause, My Cleats” initiative. One thing to know: No team has more defensive takeaways in the NFL than the Ravens. The No. 1 defense in DVOA is hoping the offense can round into form and give them enough support as they make a run for the Wild Card. 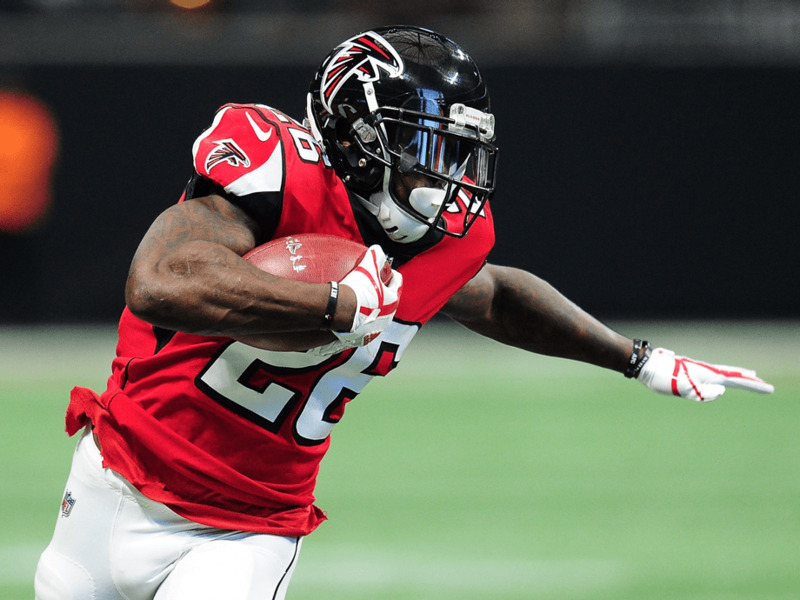 One thing to know: The Falcons have just four games remaining and two of them are against the Saints. The team’s postseason hopes depend on if that can take care of their division rival. 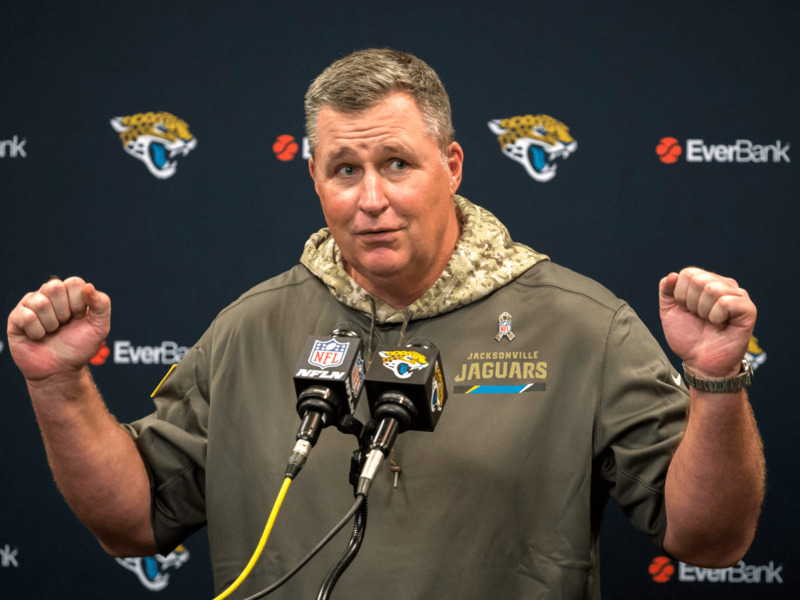 One thing to know: The Jaguars have ensured their first .500 season since 2010 with an explosive defense and a run-heavy offense. That’s quite the turnaround from a 3-13 season last year. One thing to know: The Panthers currently sit with a 62% chance of making the postseason according to FiveThiryEight, but that percentage will swing wildly in either direction depending on if they can defend home turf against the Vikings this weekend. One thing to know: Despite a battered secondary, a complete lack of reliable running backs, and a leaky offensive line, the Seahawks won’t go away. Russell Wilson is getting MVP buzz for his play of late. 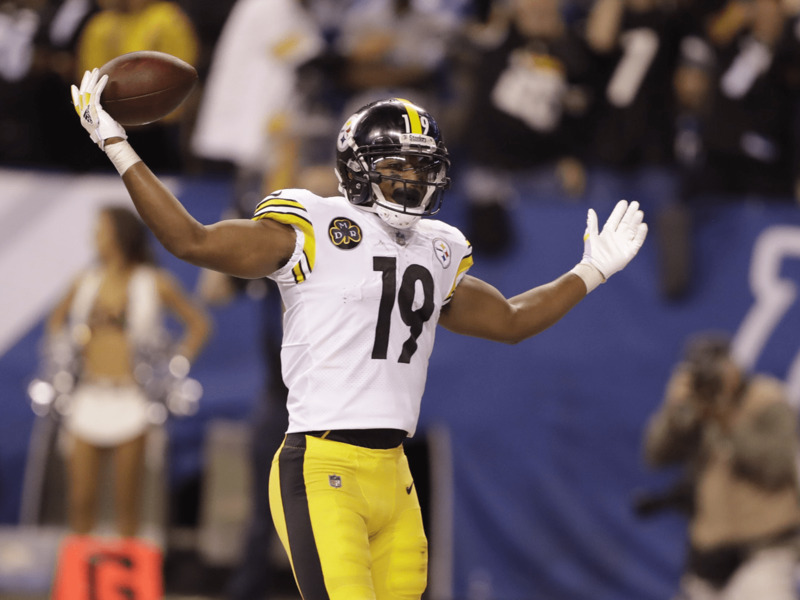 One thing to know: Breakout star JuJu Smith-Schuster will be suspended this week after hitting Bengals linebacker Vontaze Burfict while he was defenseless. 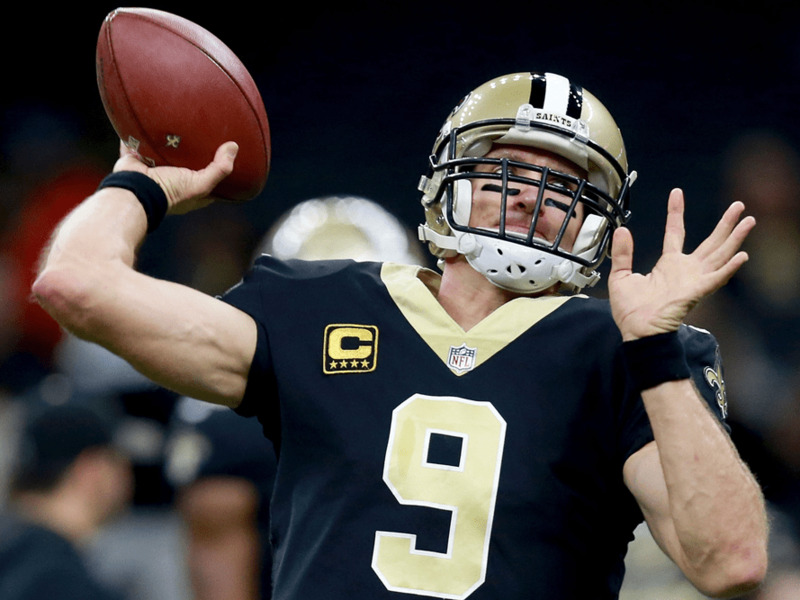 One thing to know: Tom Brady isn’t the only ageless quarterback in the league this year — in his 17th season in the NFL, Drew Brees is still a top-three quarterback in terms of rating, completion percentage, and yards. 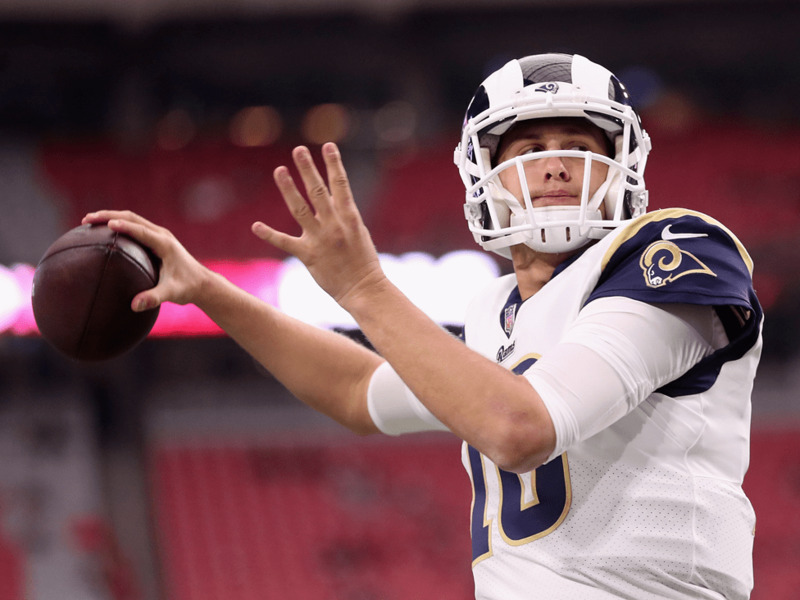 One thing to know: The high-octane offenses of the Rams and Eagles are tied atop the NFL, scoring 30 points a game each. The over/under for their matchup on Sunday is currently set at 48.5 in Las Vegas sportsbooks. One thing to know: Eagles at Rams will also be a meeting of the first and second overall picks from the 2015 Draft at quarterback. 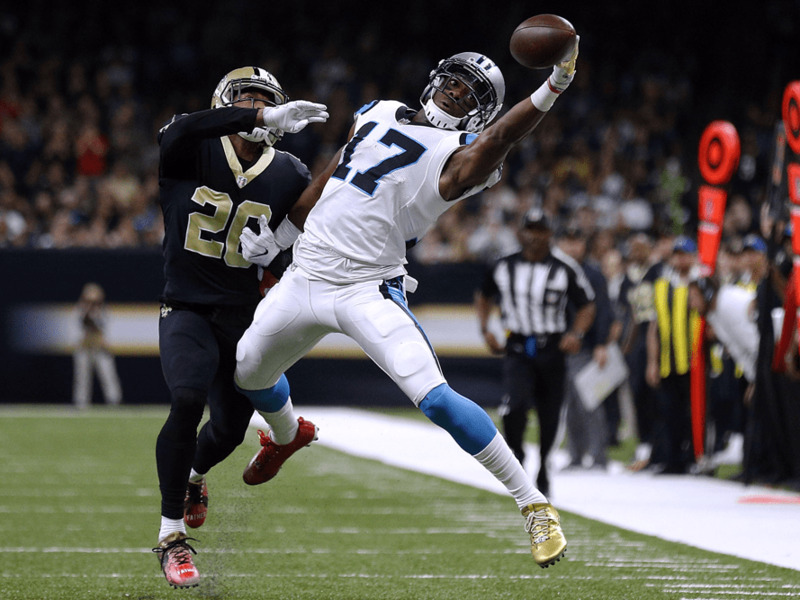 Last time this happened, the second overall pick won, with the Marcus Mariota-led Titans beating Jameis Winston and the Buccaneers in the two quarterbacks’ rookie seasons. One thing to know: Case Keenum impressed yet again on Sunday, helping Minnesota along to their 10th win of the season and the top spot in the NFC. Pretty good for a guy who went undrafted in 2012. One thing to know: Rob Gronkowski was suspended a game for his cheap shot on Bills cornerback Tre’Davious White, but his absence likely won’t stop the Patriots’ relentless offensive attack.